Engineering Professor Kash Gokli with Lisa Anderson, founder and president of LMA Consulting Group, and Harvey Mudd College juniors Bohan Gao, Ankoor Apte and Rachel Perley at the Manufacturer’s Council of the Inland Empire Innovation Award ceremony. In late 2016, Purosil LLC, a silicone hose manufacturer in Corona, California, was losing revenue and customers on their formed hose product line. In an effort to change course, the company reached out to Professor Kash Gokli and Harvey Mudd College engineering students, hoping that their knowledge of modern manufacturing practices and their innovative ideas might be the answer. That turned out to be the correct decision: Within a year, the students had helped Purosil employees implement a new way of manufacturing that increased production and efficiency and boosted revenue by $3.1 million annually. 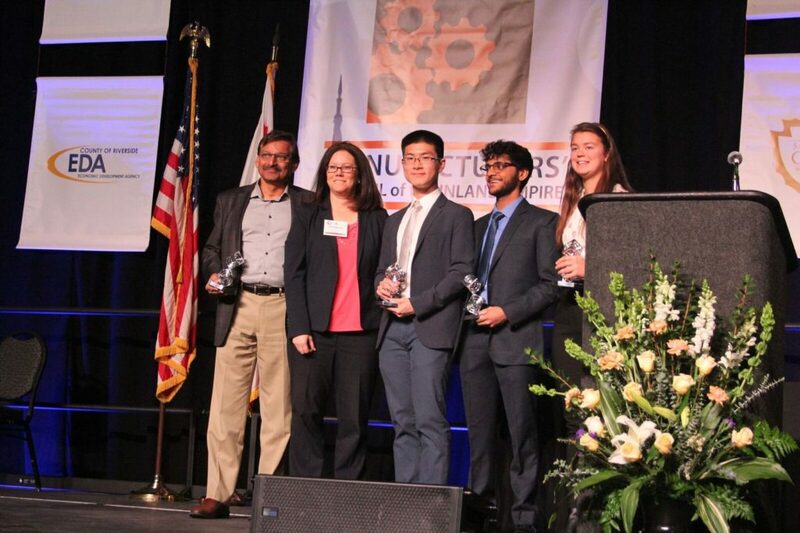 The students, juniors Ankoor Apte, Bohan Gao, Giulia Castleberg and Rachel Perley, and their advisor, engineering professor Kash Gokli, won the Manufacturer’s Council of the Inland Empire Innovation Award for their work with Purosil. The award was presented in February at the MCIE’s 2018 Manufacturers’ Summit. With funding from the Henry E. and Gayle Riggs Fellowship in Engineering Management, a team of students worked at Purosil part-time over two semesters, doing research to determine the source of the company’s problems. Apte, Gao, Castleberg and Perley then spent 10 weeks in summer 2017 working full time at Purosil, implementing their proposed solutions. In addition to updating the company’s manufacturing processes, the students faced what was perhaps a bigger challenge, recasting the employees’ method of information flow or “tribal knowledge,” as Gokli describes it. The students put together a simulation to show employees how making some changes would improve their workflow and efficiency. For example, they automated the paper filing system and some other manual operations. Now, anyone can access up-to-date designs via a tabletop monitor and computerized files. Once people saw the ways lean manufacturing principles could improve their productivity and workflow, Gao says, there was a noticeable change in morale as well, even for those employees who had to make big changes.  This is the second collaboration between Harvey Mudd students and Purosil, and there is potential for more. With each project, Gokli has two objectives: “that we make companies more competitive by transforming their manufacturing and that our students learn a lot,” he says. Posted in: Award, Engineering, Faculty, Students.